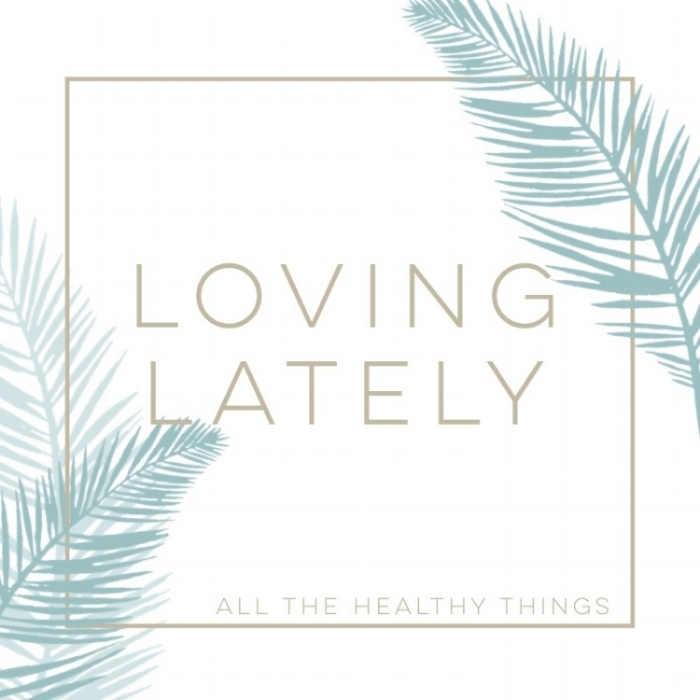 A mix of new and old favorites, plus puppies, are what I'm loving this week! I've been using this Rosehip Seed Oil for around a month now and it's my new favorite light moisturizing oil for my face. Because it's a "dry" oil it's lightweight while still deeply moisturizing. It's also rich in essential fatty acids and high in Vitamin C which helps increase cell-turnover and keep your skin glowing! I like this brand by Leven Rose oils because it's in a dark amber bottle which helps prevents the oil from going rancid, which is important because rosehip seed oil is pretty delicate. I got it on Amazon. Let me know what you think if you try it! Y'all know how I feel about Dr. Bronner's soaps - I LOVE them! Dr. B's comes in a bar soap as well as a concentrated liquid form. I've recently been really into the rose scent which I think is my favorite! I love the bar in the shower and use the liquid concentrate for relaxing bubble baths. I also love to dilute the concentrate with water in my foaming soap dispenser for an easy hand soap. Oh, and, Dr. B's soaps are all-natural and free of all harsh chemicals, preservatives, or other additives that can irritate your skin! Have y'all tried matcha?! At least a couple of times a year, I get tired of coffee. Don't get me wrong, I love the stuff, but I guess the "too much of a good thing" idea even applies to coffee. Lately, I've been loving matcha green tea in the mornings instead of my normal cup of joe. I found some great individual serving size packets at Trader Joe's that you just mix with hot water and boom - matcha green tea in your mug! I've also been adding cashew milk, raw honey, and vanilla extract to make a matcha green tea latte. Soooo good. I'm currently on a mission to include more wild caught seafood into my diet, in particular fatty cold water fish. Fatty cold-water fish, like salmon, have high levels of omega-3 fatty acids and are great additions to your diet. I'm aiming for 2-3 servings a week, which is looking more like 2x a week, UNLESS it's on sale, because I'm on a budget and good quality wild-caught seafood can get pricey. I always try to catch salmon when it's on sale, stock up, and freeze what I won't be cooking! My favorite way to eat salmon is with crispy skin. There was a time when I would trash the salmon skin, but I've since been delivered from my lack of knowledge and now know the truth. Don't let that salmon skin go to waste people! Get a good sear, crisp up that skin, and thank me later. Pat the fish dry with a paper towel. Then, liberally season the skin side with sea salt. Place the salmon in the skillet, skin-side down, and cook for 1-2 minutes. While it's searing, season the other side. I like to use salt, pepper, turmeric, garlic, oregano, onion powder, and smoked paprika. Once the salmon has seared for 1-2 minutes, pop the skillet in the oven to let it finish cooking. It shouldn't take long maybe 5-6 minutes depending on how you like your fish cooked. Enjoy! Remington, the newest member of the North Carolina Tar Heels baseball team. Carolina and Goldens - two of my favorite things! Ibn Ali Miller, who was seen breaking up a fight between two teenagers in this viral video, was recently honored in Atlantic City. Watch this heartwarming video of him thanking his mother when he was honored. LEFTOVERS! 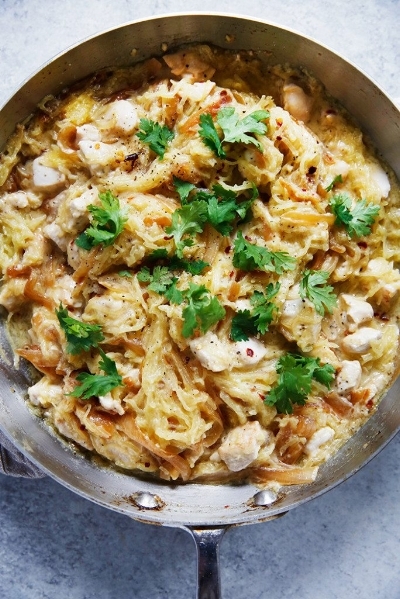 I made a version of this Spaghetti Squash Alfredo with Chicken and Caramelized Onions from Lexi's Clean Kitchen to have for lunch this week. I added spinach and sun-dried tomatoes to mine. So good. National Puppy Day (3.23.17) Not sure who comes up with these things, but I sure do love this little nugget. Hard to believe he was ever this tiny. Oh, and yes, my sister's dog has an Instagram. Haha. What have you been into lately? Let me know in the comments below!